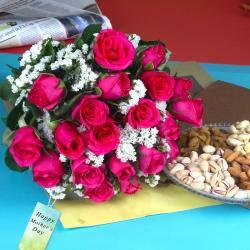 Product Consist : 10 Red Roses Bouquet, 1/2 Kg Chocolate Cake along with 5 Bars of Assorted Chocolates. Have a look at this marvelous gift hamper available at Giftacrossindia.com Mother's Day e-gift store for your loving and charming Mom. A mother makes the child develop their skills in whatever area they are good at, she also helps them in overcoming with their weaknesses and helps her child set out their own path. 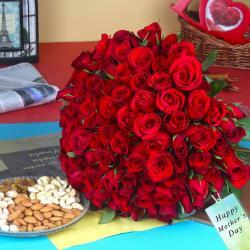 All children's are waiting for this day they are much excited to send the gift with special love attachment. 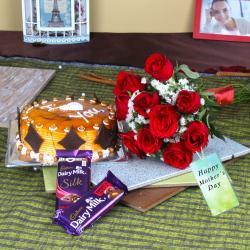 Trust us while receiving this beautiful choice combination hamper she will be proud to be your Mother. 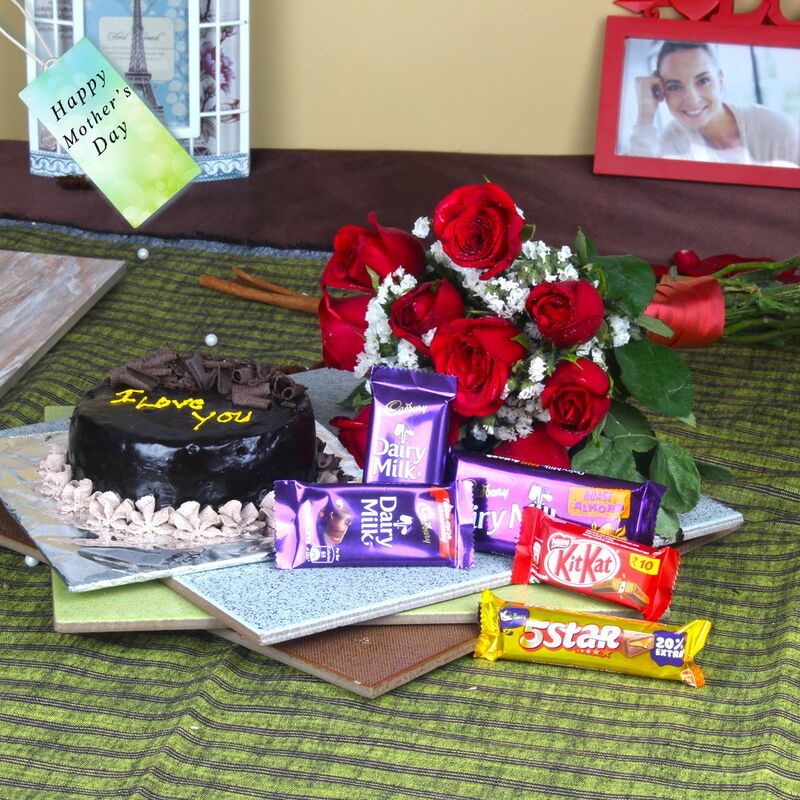 Impress your mom by gifting this Red Roses Bouquet with richly loaded delicious Chocolate Cake treat along with Assorted Chocolates this is one sweet sin that every sweet-tooth happily indulges in. Browse your favorite products it is very conveniently available for online shopping from anywhere in India with Same Day Delivery option. So go on and place your order now to show her how much she is important to you. 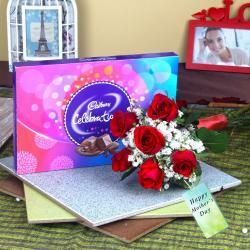 Product Includes: 10 Red Roses Bouquet, 1/2 Kg Chocolate Cake along with 5 Bars of Assorted Chocolates.